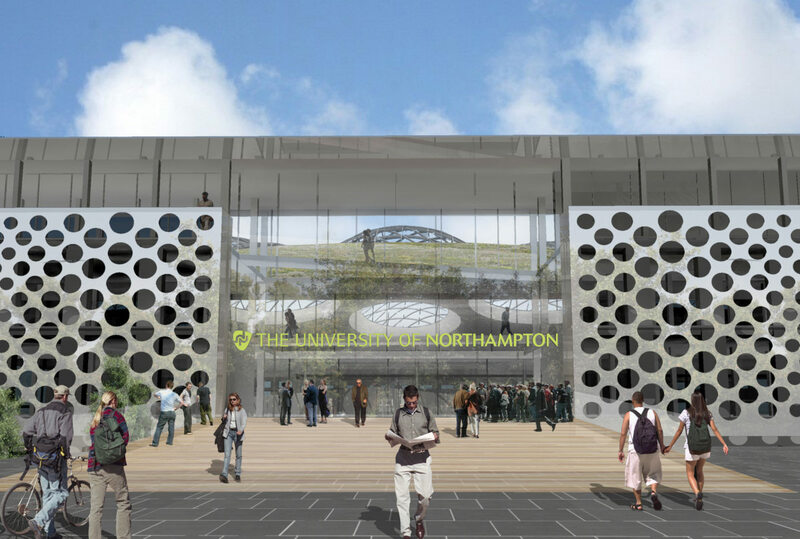 Northampton University’s Avenue Campus offers a perfect opportunity for a 21C renewal of extraordinary academic architecture. 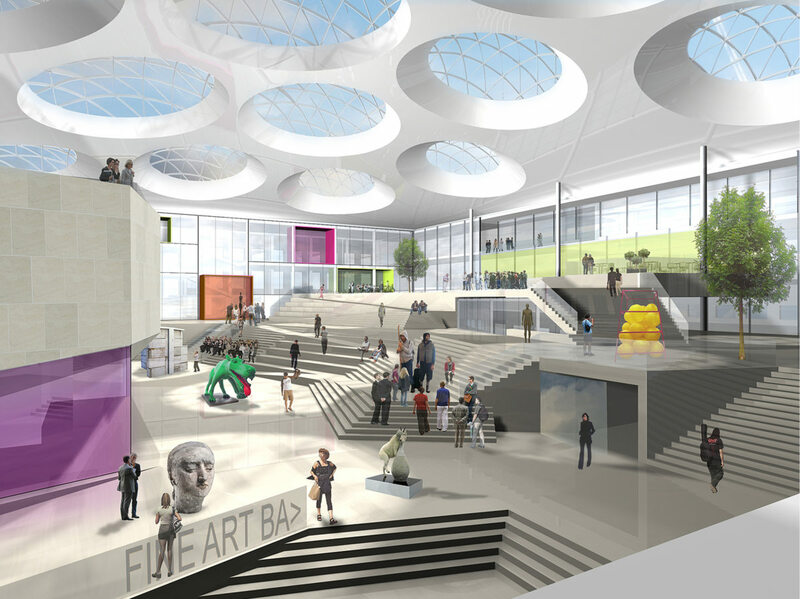 We believe that the enlightenment, energy, creative exchange and intellectual achievement of students of all ages and backgrounds can be expressed in the new architecture of the Maidwell Building as a flagship of the Avenue Campus. 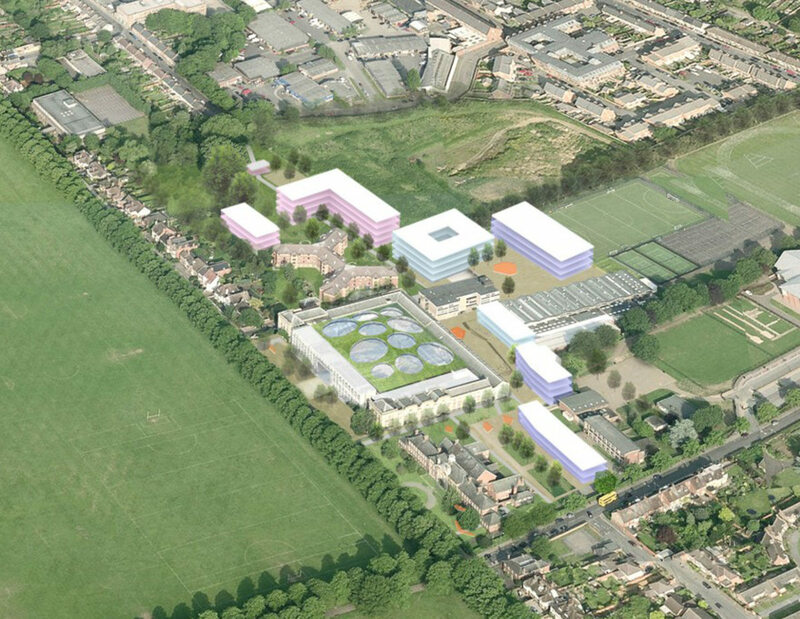 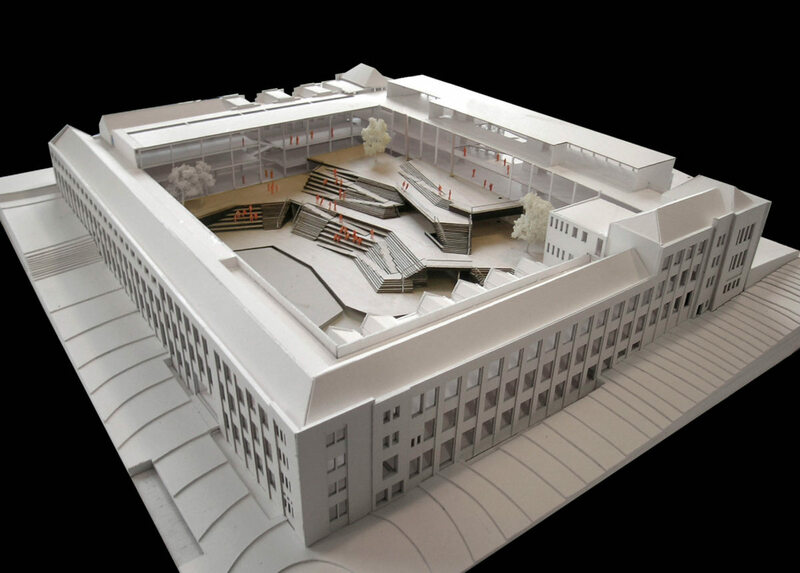 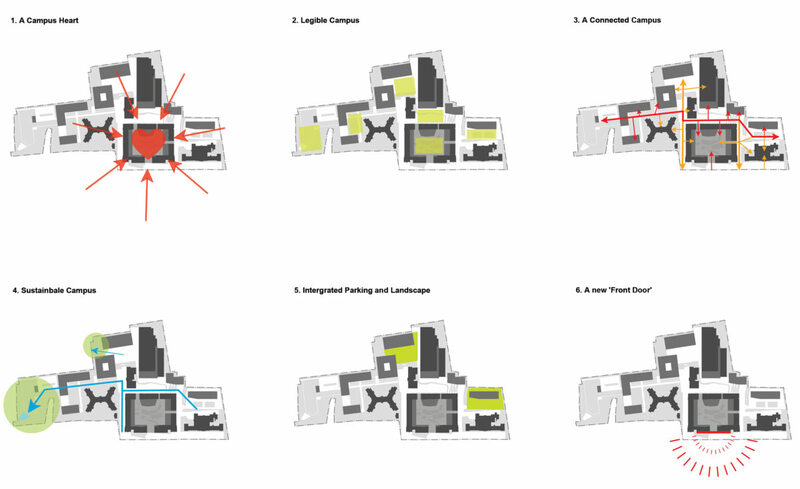 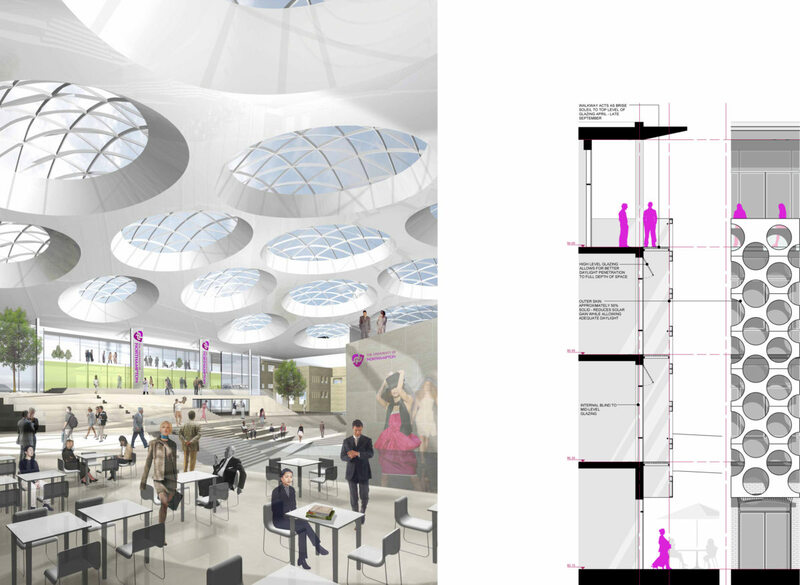 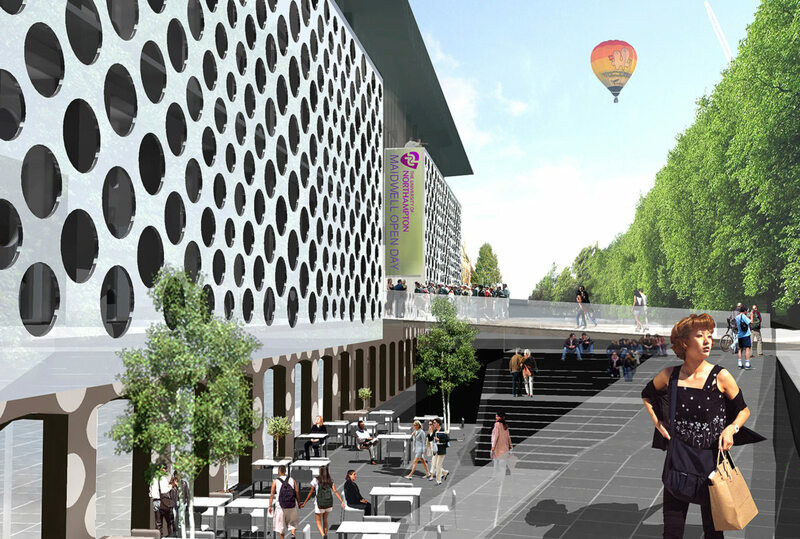 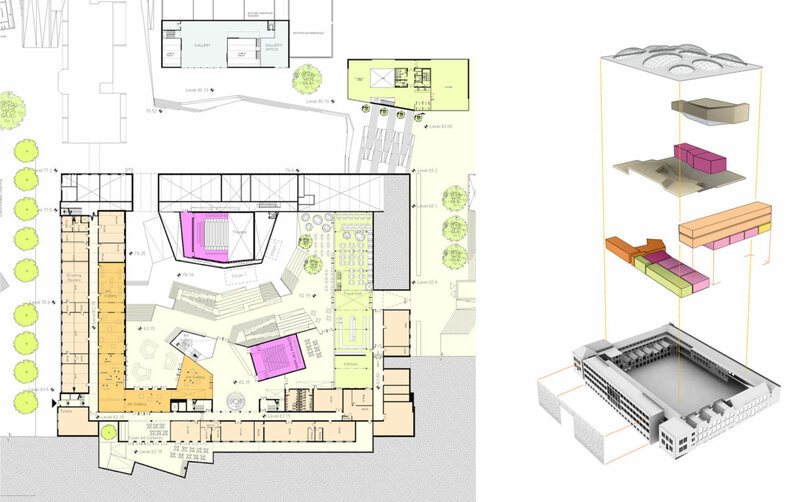 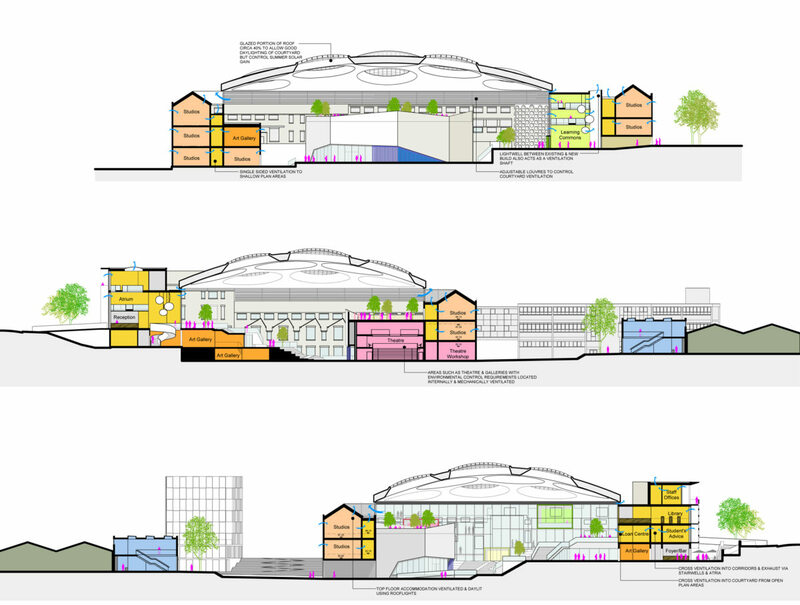 Beyond the ‘flagship’, we believe an urban approach to the campus can clearly re-structure its undefined edges and open spaces into a series of smaller scale quadrangles and courtyards, enclosed and outdoor ‘Landscape Rooms’ connected by pedestrian Boulevards. 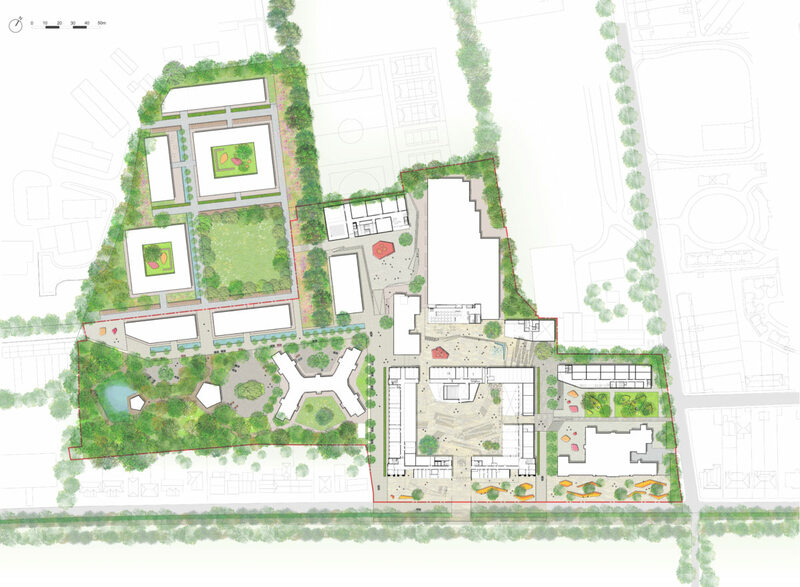 A successfully integrated landscape and building framework should provide a coherent and robust context in which different hands can produce architecture of individual character and quality. 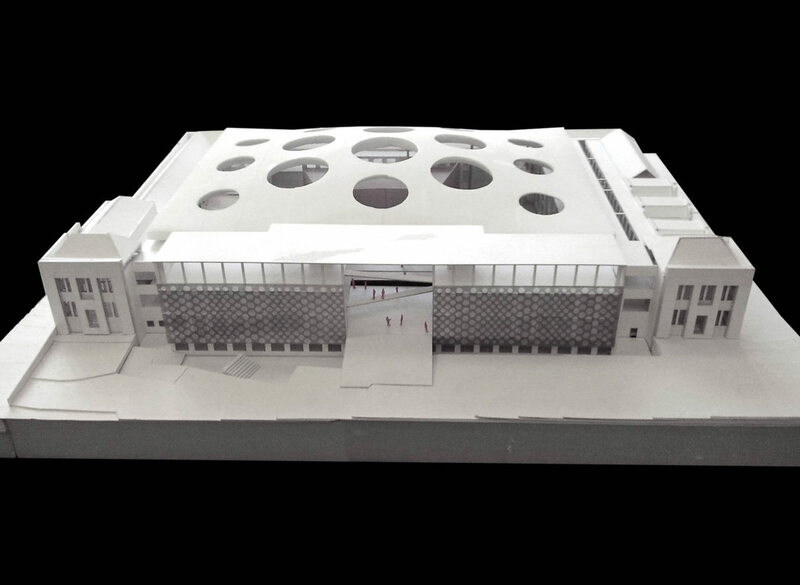 Our proposal for the Maidwell Building is based on the principle of an evocative, intricate and luminous new south facade, an image of effervescence announcing a clear new public identity for the Avenue Campus; and an all-encompassing roof over the courtyard space.